Dr. Mehmet Oz is at it again. The infamous snake oil salesman tweeted today, asking his followers to learn more about the link between a person’s astrological sign and their health. After a brief paroxysm of screaming, I clicked through the slideshow to learn that, as a Capricorn, I am so ambitious and take on so many tasks that I am prone to literally becoming weak in the knees. Well, Dr. Oz, joke’s on you, because I have very strong knees. Actually, the joke is on all of us, because this charlatan recently became an advisor to the Department of Health and Human Services’ President’s Council on Sports, Fitness & Nutrition. Meanwhile, the US likely just had its third year in a row of declining life expectancy. Update, 12:55pm ET Thursday: The Dr. Oz account has deleted the tweet. Thanks to Twitter user @medfraud_pmh for preserving the screenshots. 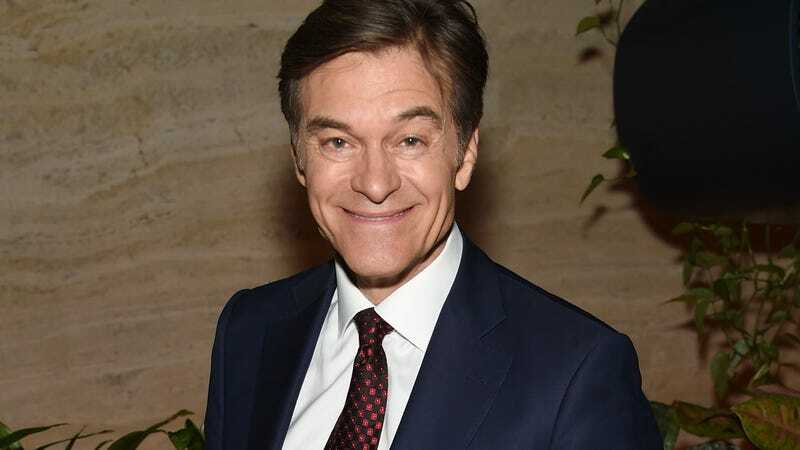 Dr. Oz&apos;s Defense Against Critics: My Show "Isn&apos;t A Medical Show"